No one has ever asked me, a frequent book reviewer, about my method for choosing books to review, which I'm kind of grateful for because, even though it would make me feel superimportant, it would also force me to confess how incredibly stupid and haphazard my method is, and that would be embarrassing. Ideally, I would go through the publisher catalogs that come out twice a year and highlight the books that look interesting (or at least potentially interesting) or have some strong tie to Chicago, then write to the publisher and request review copies, and then, when they arrived, responsibly go through them and set up a review schedule based around release dates and book tours. That sometimes happens—especially when friendly publicists send me helpful reminders about when their clients will be in town or, if the clients live in town, when their books are coming out. Mostly though, I just read stuff. Some of it gets mailed to the office and lands on top of a file cabinet at the back of the newsroom. Some of it I just check out from the library. Since I read so haphazardly, I didn't really keep a list of the books I read this year. But here are a few that stuck with me. 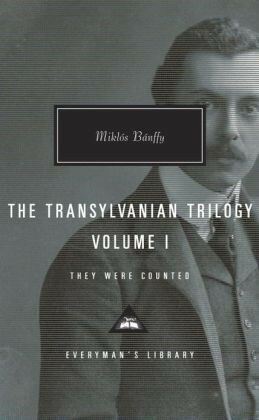 Miklós Bánffy's Transylvanian Trilogy needs to go at the top of this list because, since the three volumes add up to 1,400 pages, it was the book (or collection of books) I spent the most time with. It chronicles ten years in the lives of a group of Transylvanian aristocrats before World War I, and has all the momentum of a soap opera and the gravitas of impending history. Between volumes 1 and 2, I took a break to read other things. Serendipitously, one of them happened to be Between the Woods and the Water by Patrick Leigh Fermor. Leigh Fermor was the most dashing of the great dashing British travel writers who combine almost impossible erudition and knowledge of languages and history and art and architecture with high adventure. Between the Woods and the Water is the middle volume of what was intended to be a trilogy about Leigh Fermor's epic walk across Europe, from the Hook of Holland to what was then known as Constantinople, in the early 1930s when he was 18. Smack in the middle of the book, he reaches Transylvania, which had been transferred from Hungary to Romania at the end of World War I. His visit there is a terrific set piece, a three-day high-speed road trip accompanied by his married girlfriend and a pal who turns out to be a very reckless driver. His travels in Transylvania made a fun counterpoint to Bánffy. (It was nice to see that pieces of Bánffy's world had survived, even if the names had been changed.) Leigh Fermor died in 2011 before finishing his trilogy, but he left enough manuscript that his biographer was able to edit it into a third volume, The Broken Road. It's due out in March, and I'm sure I'll be writing about it at this time next year. Maybe the best armchair travel I did this year was via Ian Mortimer's two wonderful Time Traveler's Guides to Elizabethan England and medieval England. This is not because Mortimer's incredibly vivid descriptions of the perils, hardships, and, especially, the smells of 16th and 14th centuries made me desperately want to go there (or then), even if it were possible. I did not. In fact, the books disabused me of most of my romantic notions about the past. But Mortimer's work is a brilliant example of how much life there is to be found in property records, especially if they're being examined by a poet. He's currently at work on the Time Traveler's Guide to Restoration England. I can't wait to go there too. The River of No Return by Bee Ridgway also combines high erudition with high adventure, and also time travel and romance and metaphysical poetry and charmingly anachronistic pop-culture references. Reading it was probably the most fun I had with a book this year. Actually, I enjoyed it so much, I read it twice. I kind of wish Janet Malcolm, one of the smartest and sharpest journalists working today, would review Nate P.'s essays because she would eviscerate him and it would be a wonder to read, but I guess Waldman did fine, and anyway, Malcolm was busy putting together Forty-One False Starts, a collection of some of her best articles. It occurs to me now that three of my favorite books this year make up a sort of informal trilogy. Margaret Fuller: A New American Life by Megan Marshall is a biography of the first female American intellectual. The Signature of All Things by Elizabeth Gilbert is a novel about the life of a woman who, had she existed, would have been the first female American scientist. And Book of Ages: The Life and Opinions of Jane Franklin by Jill Lepore is a reconstruction of the life of an 18th-century American woman who never got the chance to be a scientist or an intellectual like her older brother Ben because she was, well, an 18th-century American woman without the benefits of an education, money, and leisure time. There were two books I read this year that stuck with me for less pleasant reasons. The first was Sandalwood Death by Mo Yan, which I read in preparation for writing a profile of Howard Goldblatt, Mo Yan's English translator. One of the characters in the book has turned execution into an art form, and the descriptions of various forms of torture and death are rendered in exquisite, nauseating detail. The first question I asked Goldblatt when I met him is if any of them were real. Goldblatt assured me that Mo Yan had invented them all. I don't know whether this is reassuring or not. The other is Vintage Attraction, an awesomely bad novel by Charles Blackstone about a romance between an English teacher and a sommelier. I wondered if the whole book was an elaborate joke. Others have speculated that Blackstone's stilted prose and awkward metaphors were just a sad attempt at humor. Far funnier was Time Out Chicago's Vintage Attraction drinking game. If you must read the book, keep this guide and plenty of alcohol nearby.